Do you want to overcome inferiority complex in your life? Do you compare your life with others? Do you see yourself not able to fit in? What is inferiority complex? Inferiority complex is an unrealistic feeling of general inadequacy or lack of self-worth, doubt and uncertainty about oneself. You feel like you are a failure and not able to measure up to standards. 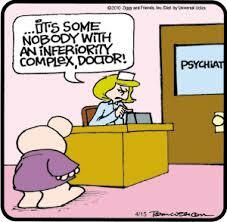 Inferiority complex is root in rejection if real or perceived. Rejection is a very strong spirit to hold you back and is accompanied by a spirit of fear. Fear of man, fear of rejection from others. It can come in the womb if born out of wedlock. Other times, it is rooted in the young’s persons experiences. Parents that never nurtured you or ever gave you praise. You grew up in a conditional love home. You had to perform to get approval. Children, who are adopted have feelings of inferiority complex rooted because the real parent gave them up. It can come in because of the color of your skin. Some children dealt with bullying in school that made them feel inferior.